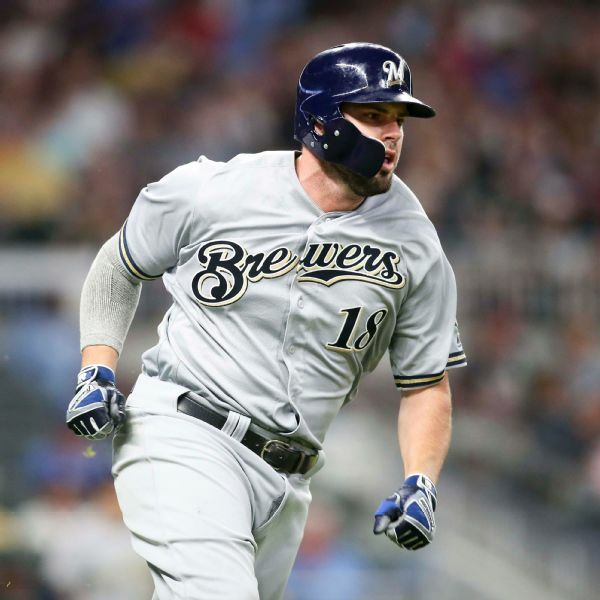 Mike Moustakas will start at second base for the Brewers this season even though he has never played there. 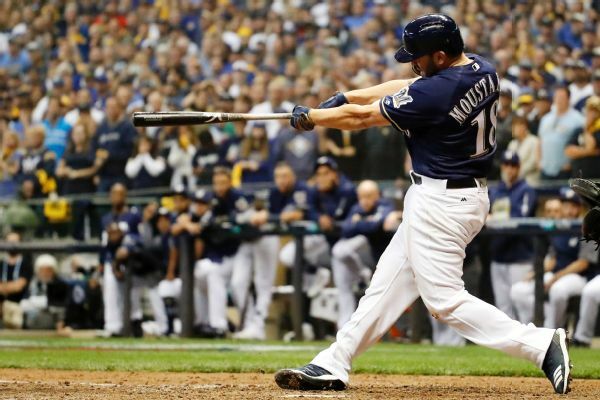 Mike Moustakas said he loved playing in Milwaukee last year and is happy to be back. 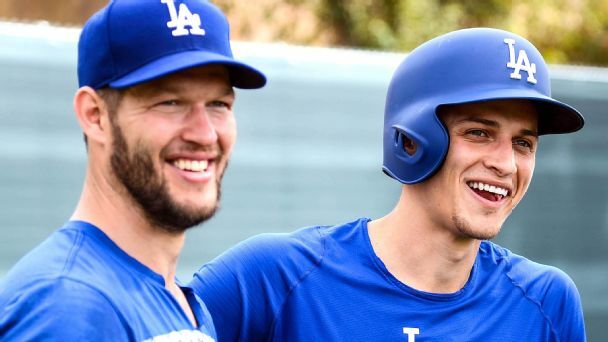 "It was a lot of fun. 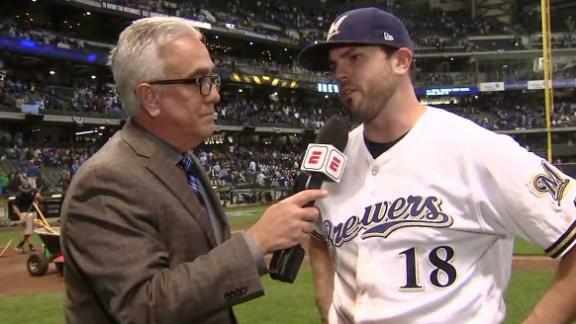 We fell a little bit short, obviously, but I feel like this team can get back to where we were at last year and make a push for the World Series." 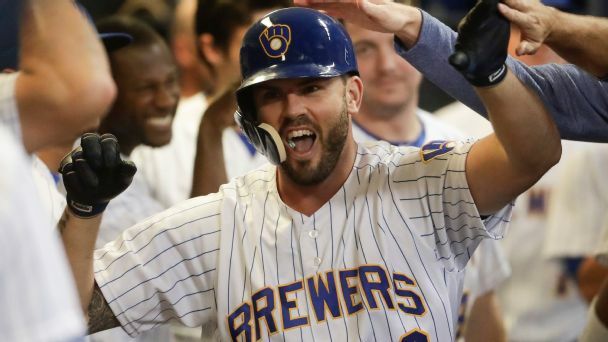 Free-agent third baseman Mike Moustakas is returning to the Brewers on a one-year contract, a source confirmed to ESPN. 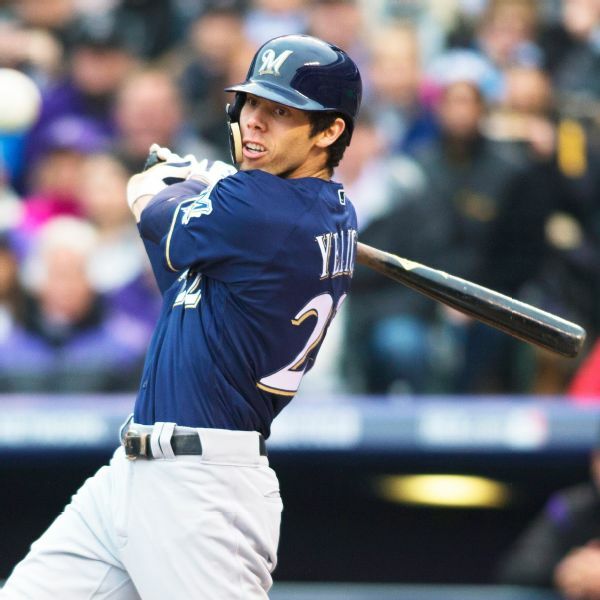 There is a glut of accomplished players not named Bryce or Manny -- or even Keuchel or Kimbrel -- still out there. 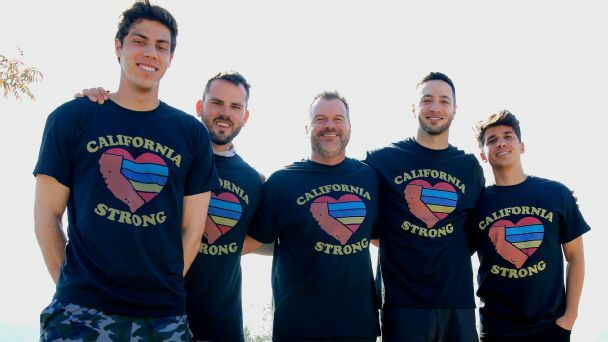 Touched by recent tragic events in the area of California they call home, Brewers teammates Christian Yelich, Ryan Braun and Mike Moustakas are raising money to help those affected. 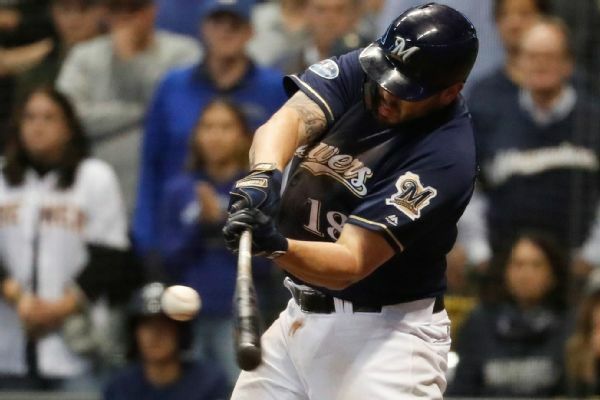 Brewers third baseman Mike Moustakas and reliever Joakim Soria have exercised their mutual options and elected to become free agents. 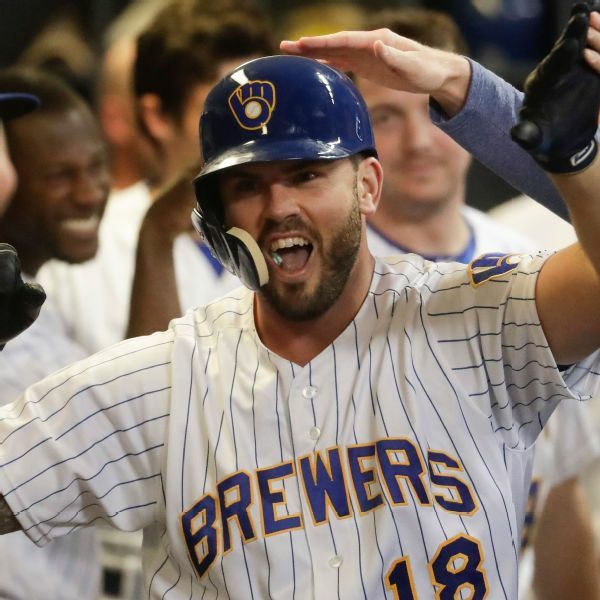 Mike Moustakas credits Wade Miley for his performance, especially after giving up a leadoff homer, and evaluates Milwaukee's bullpen.